of the PDP essential slated for one week from now does not clear route for the emergency presidential competitor from the south-east geopolitical zone of the nation. 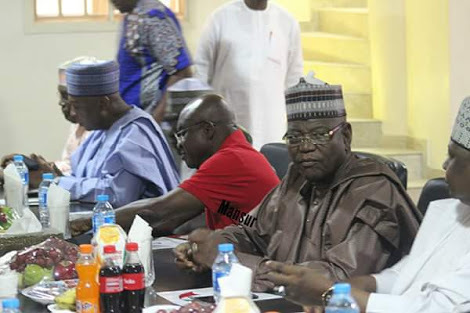 The group handed down the warning after its meeting in Abakaliki where issues affecting the political future of Ndigbo in the 2019 general elections were discussed and resolutions reached. In a statement signed by Ohanaeze Ndigbo Youth Council worldwide’s deputy vice president general, Comrade Obinna Achionye and national vice president (Ebonyi State), Mazi Alex Okemiri, the group alleged that the PDP national caucus led by Prince Uche Secondus was plotting to deny Ndigbo the vice presidential slot in the forthcoming PDP primaries. The statement read in part: “This is our final warning to PDP regarding the 2019 presidential election. If there is any attempt to zone vice president to another zone after the primaries, Ohanaeze Ndigbo Youth Council Worldwide will mobilise Igbo youths for APC where we have nothing to lose. PDP should make hay while the sun still shines. “OYC insists that the leadership of PDP led by Prince Uche Secondus is planning to deny Igbos the vice presidential slot when the party holds her presidential primaries early October 2018 in Port Harcourt Rivers State. Meantime, the Ohanaeze Youth Council, OYC, has called for restraint over the opposition to the deputy senate president, Senator Ike Ekweremadu’s return bid to the senate. The call has been rife, especially from the members of the All Progressives Congress, APC, who believe that the position should go to another political bloc in Enugu West Senatorial zone. “Our stand is that Ekweremadu has distinguished himself among other senators who served before now and those still with him at the National Assembly from the South-West. His constituency development and empowerment of the people go beyond Enugu West and these are verifiable,” the group said. OYC equally called on the coalition of political parties in Enugu State to adopt Governor Ifeanyi Ugwuanyi as their consensus candidate.